Gibson Dunn | Hatch, Timothy J. ​Timothy J. Hatch, a partner in the Los Angeles office of Gibson, Dunn & Crutcher, joined the firm in July 1987. He works in the Government Contracts Practice Group, where he focuses on litigation and counseling, especially in connection with government allegations of fraud. Mr. Hatch has been involved in numerous actions brought pursuant to the False Claims Act, both by the Department of Justice and by qui tam relators, against an array of recipients of government funding, including government contractors, health care providers and educational institutions. 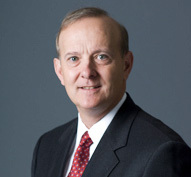 Mr. Hatch is also a member of and works closely with the firm’s White Collar Defense and Investigations practice group. In this regard, Mr. Hatch has assisted clients in conducting internal investigations as well as responding to government investigations. Mr. Hatch has significant experience negotiating and resolving allegations of criminal and civil fraud, including the suspension and debarment implications of such allegations, and in litigating the type of disputes that often arise in connection with fraud allegations and investigations. Mr. Hatch regularly counsels companies that do business with governmental entities about the numerous and, at times, complex laws and regulations with which they must comply. In addition, Mr. Hatch has considerable experience in assisting clients in resolving and, if necessary, litigating disputes that frequently arise in connection with engagements to design, develop and implement computerized information systems. Mr. Hatch is admitted to practice before the courts of California and the District of Columbia, as well as a number of federal district and appellate courts. Mr. Hatch received his undergraduate degree in 1977 and his law degree, with honors, in 1980 from the University of Wisconsin. While in law school, he served as Managing Editor of the Wisconsin Law Review. Following law school, from 1980 to 1984, Mr. Hatch served in the Army General Counsel’s Office in the Pentagon, where he concentrated on national security matters, including intelligence activities and special operations. During that time, he received a master of arts in government, with a certificate in national securities studies, from Georgetown University.